The combination of Ning and WidgetLaboratory (WL) was a story that had wikinomics written all over it. The former is a platform that enables anyone to create their own social networks focused on anything they want, and they actively encouraged individuals and companies to innovate on top of the platform and make it even better. WL did just that, and in a big way – they sold a number of widgets (for around $30 / month) tied to the Ning platform, supporting somewhere in the range of 2,000 networks and 1,000,000 individuals. WL was the most popular widget creator on the platform. If I was writing this post a week ago, it probably would have been a feel good story about wikinomics, but the wheels have recently fallen off the proverbial bus. 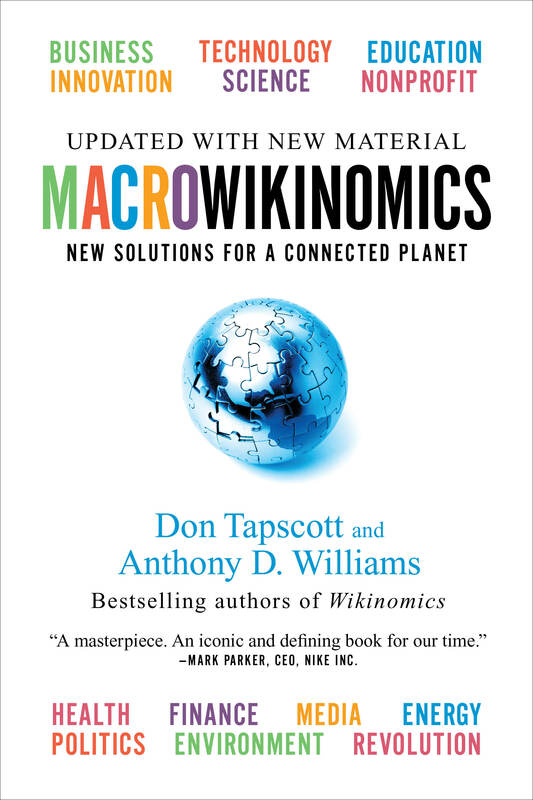 This is a development equally worthy of exploring in relation to the challenges that come with embracing wikinomics principles – and particularly those that emerge when you only embrace a few of them. Of greatest interest to me – if more stories keep popping up like this, it could be a dramatic blow to more open, collaborative innovation processes. That would be a shame. Over the past few months, WidgetLaboratory’s applications have caused multiple and significant technical degradations to the Ning Platform. In point of fact, your code has broken numerous times and has negatively affected a large number of Networks in addition to the Ning Platform. This sounds fair enough – having a single company break the platform repeatedly would seem to be a problem. However, WL vehemently disagrees with this assessment. If you read through the emails they point the finger for whatever platform problems exist squarely at Ning (particularly highlighting when Ning implemented Dojo changes that broke many applications without bothering to inform any of their partner developers in advance). They also indicate the shutdown may be more about anti-competitive behavior (a.k.a. they’re making too much money and Ning wants it, and/or Ning is worried they’ll lose customers and revenue going forward). From their POV, this was a win-win-win relationship, and they don’t understand why Ning would do this unless there were ulterior motives. I am writing to inform you that your network (widgetlaboratory.ning.com) and third party applications have been removed for violations of our Terms of Service. Please direct all correspondence regarding this matter to my attention. Thank you. This morning we removed WidgetLaboratory, a third party application developer, from the Ning Platform for violating Ning’s Terms of Service. WidgetLaboratory provided independently developed applications that could be added to a social network on the Ning Platform by a Network Creator. While we try to be as transparent as possible, it’s our long standing policy not to comment on specific cases where we remove networks or third party developers from the Ning Platform so we will not be providing any additional details publicly. Ning has the right (at its sole discretion) to delete or deactivate your account, block your email or IP address, or otherwise terminate your access to or use of the Ning Platform or any Network, or remove and discard any Code or Content within any Network, without notice and for any reason. While legally this is very clear, one has to imagine that setting a precedent of unilaterally shutting down the most successful widget provider on the platform might not be good for encouraging other developers, or encouraging customers to pay for premium services that could/ will quickly be axed. If you read through the responses on various blog posts (including this one on the Ning developer platform), you see this come up repeatedly – and you notice that most seem to be on WL’s side. Our focus at this point is in assisting Network Creators in finding alternatives to features that they may have been using from WidgetLaboratory. If we could fill these holes today, we would. We will start this effort shortly. There’s no way around it – this looks really bad. It’s bad to have a model where 3rd party players are encouraged to get involved, grow a business with valuable offerings they develop and prove, and then get shut down while the “parent” company and customers clamor over replacements for them. Not sure how that can be sugarcoated. There’s also another wrinkle in this – if you check out the August 7th email, you’ll note that one of Ning’s other complaints is that WL sometimes asks for user names and passwords, which is also against the terms of service. WL points out that they do this as a service for paying customers, who WANT to provide it to them, so they can go in there and… diagnose and trouble shoot problems with their licensed and purchased products. That seems perfectly sensible, and again to everyone’s benefit – but apparently Ning does not agree. Even while complaining that WL code regularly breaks down and hurts the network. Curious. So overall there are a lot of disconnects here, and as more information comes out it might clear up – but I doubt it. I think it’s fair to say at this point that if you want to learn how to deal with such “open” development platforms and partnerships, do pretty much the opposite of what Ning did. Even if they had to shut down WL, they could have went about it in a far better way. Secondly, saying that you try to be transparent, and then sharing nothing, is dumb. Finally, if it’s the innovation of 3rd party developers that is helping your company so much, you really have to think about what the long-term implications are when you unilaterally axe your top performer and then very shortly after that talk about replacing their offerings being your top priority. This is a great story and I’ve had fun tracking it and blogging about it. I’d love to learn more from the parties involved but until there’s a lawsuit it seems like this one’s over. I agree with you that the important takeaway here is not about Ning per se but rather the implications on SaaS providers (such as nGenera!) and the obligations inherent in publishing and supporting an API for 3rd party contributors like WidgetLab. Good writeup, thanks for the in-depth look. It’s amazing how many people don’t read licenses (until it is too late). No matter how attractive a project might be, if the license is one-sided, and not the sort of conditions you want to be living with on an ongoing basis… then… AVOID THAT PROJECT. Great write-up. I wish they could be more transparent about this. I was planning to build a business much like WL and partner with Ning to provide rich applications on their platform. I’m just not so sure anymore because of this. Is there a way to upload meta data to a ning website? very sad story of partner success can make the platform vendor turn on them. Hope it gets resolved amicably. Seems incredibly anti-competitive to me, especially when another partner (Scripts for Ning) applications continue to function. Nuts!